The city of Mdina has long been called the "Silent City of Malta" due to the fortified walls that confine this medieval town. Get out of town with these interesting Mdina side-trips: Marsaxlokk Bay (in Marsaxlokk) and Fort Rinella (in Kalkara). Next up on the itinerary: contemplate the long history of Mdina Old City, get in on the family fun at Popeye Village Malta, explore the striking landscape at Blue Grotto (Il-Hnejja), and examine the collection at Malta Aviation Museum. 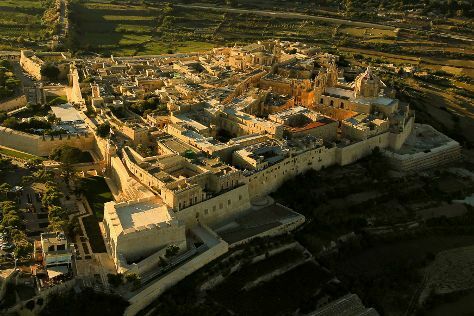 To see where to stay, photos, reviews, and more tourist information, read our Mdina tour site . If you are flying in from United Kingdom, the closest major airport is Malta International Airport. March in Mdina sees daily highs of 20°C and lows of 12°C at night. Wrap up your sightseeing on the 21st (Wed) early enough to travel back home.